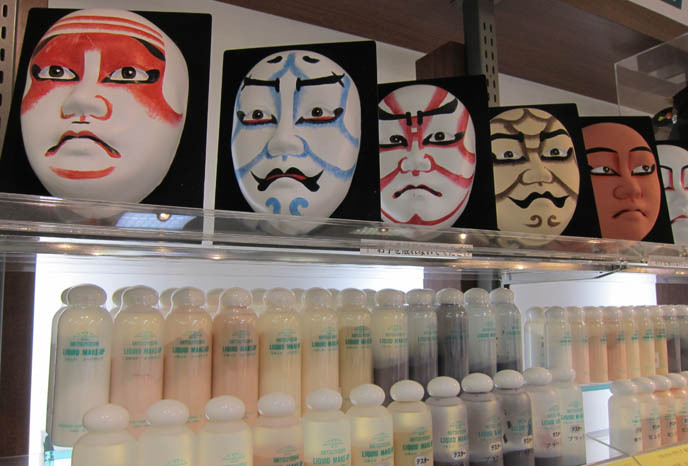 MITSUYOSHI: JAPANESE COSTUME MAKEUP, WHERE TO BUY NOH BUTOH THEATRICAL COSMETICS. JAPAN PROFESSIONAL MAKEUP ARTISTS. Japan’s traditional theater — butoh, noh — is all about dramatic, ghostly makeup. 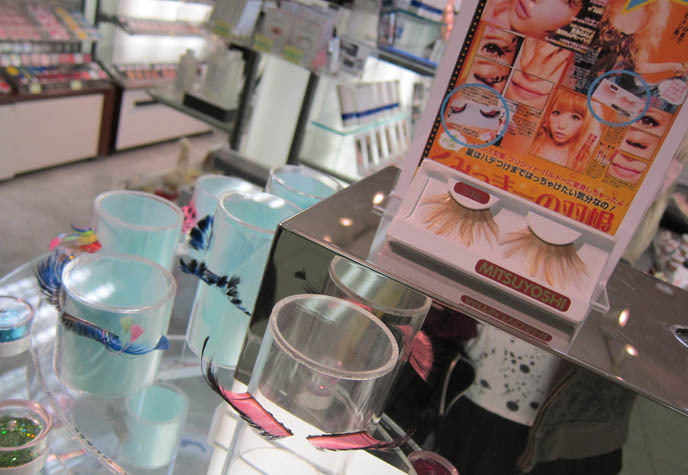 Where, o where, can you buy dramatic cosmetics in Tokyo? At Mitsuyoshi, a little shop of horrors in Shinjuku Subnade (the shop-lined pathway below Shinjuku Station East). In addition to selling specialty cosmetics, Mitsuyoshi offers professional makeup lessons. You can learn how to create intricate geisha, samurai, and leopard looks. The signature palettes come in all colors of the rainbow. Mitsuyoshi’s makeup brushes are some of the best in the business. The long, colorful fake lashes… they make my heart go doki-doki! 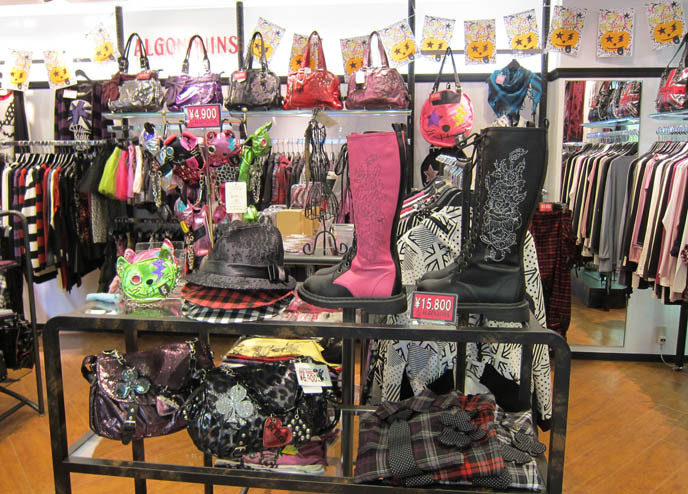 The Shinjuku Subnade has many fashion boutiques, including Goth-Punk streetwear brand Algonquins. Cute and colorful, as always. I’ve always liked Algonquin’s flat boots and decorated bags. 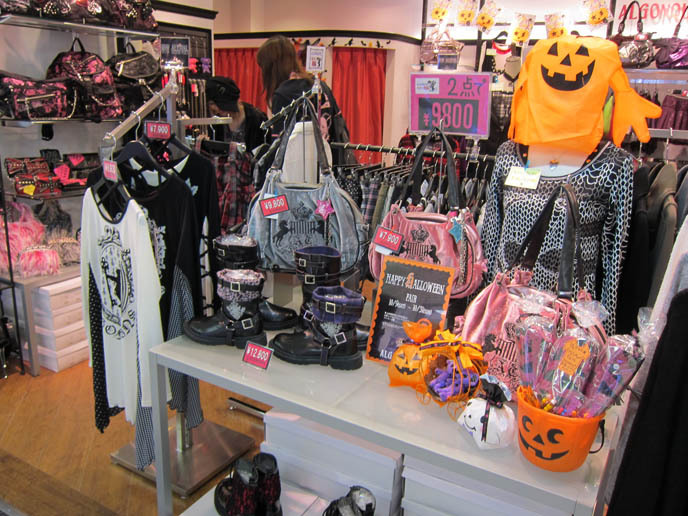 Halloween is the best time to be in Tokyo. I was there in 2008, 2010, and probably 2011 for another Pirate mission… the wheels are in motion, my friends! 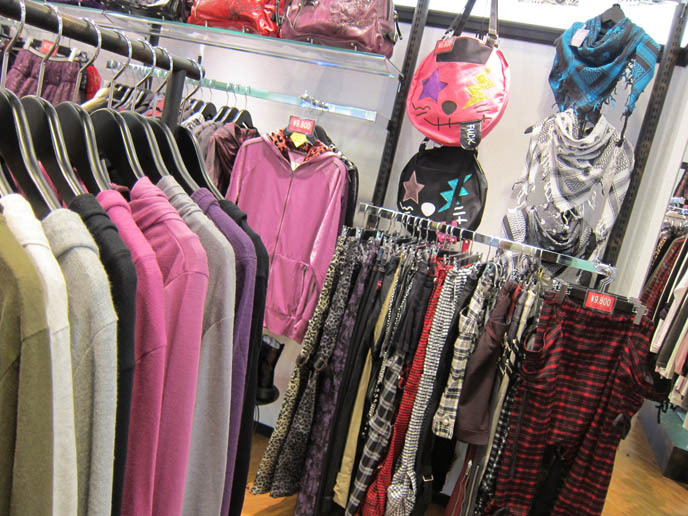 Bonus: the Subnade has a store that sells… sugary-sweet clothing for dogs. 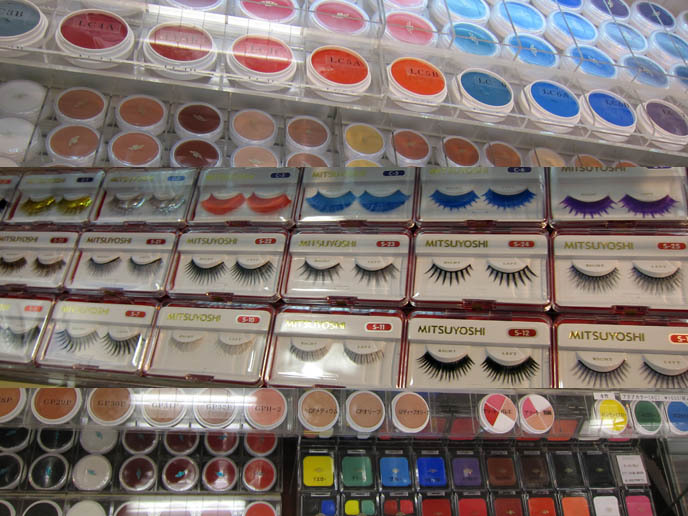 Where else can you buy theatrical makeup and eyelashes in Tokyo? Okadaya, the fabric and trimmings mega-mart. I have photos and info about Okadaya in this and this post. 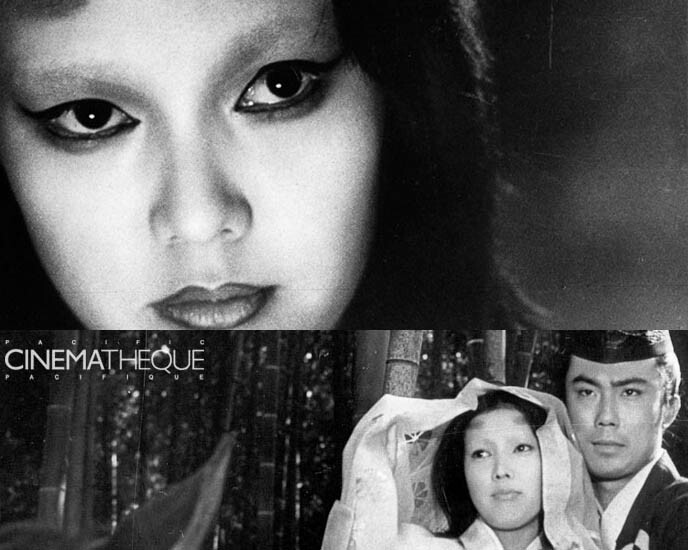 Speaking of Japanese horror makeup… Kuroneko, an eerie ghost film from 1968, is playing at the Vancouver Cinematheque from Feb 3-6. The film opens with a gang of samurai forcing themselves into a rural hut and the two women that live there. Fast closeups on the women’s face; long shot of the samurai stepping back into the grove as smoke exits the hut. The stark and chilling imagery — influenced by Noh lighting and dance — continues as the demons seek out their revenge. See the chilling Kuroneko on the big screen or buy the DVD. Have you ever seen Noh, Bunraku or Butoh plays? 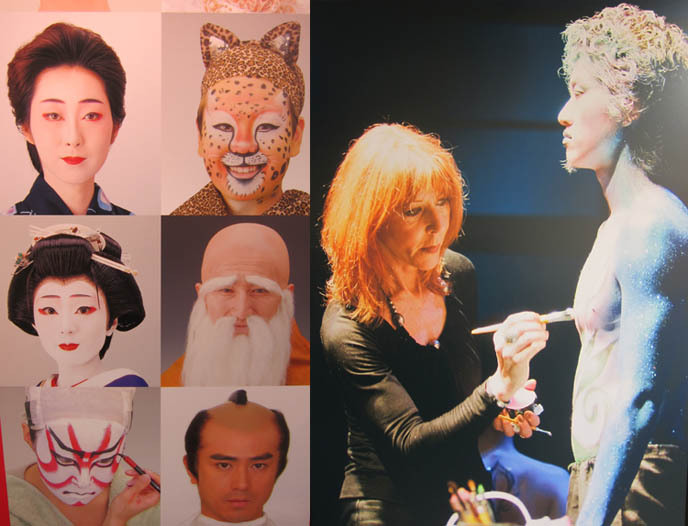 Isn’t Japanese theatrical makeup astounding? Have a koo~ day ! Hehe no way! I loved seeing Butoh performances — the agony of the human form, simply fantastic! I’d love to attend a Noh workshop. 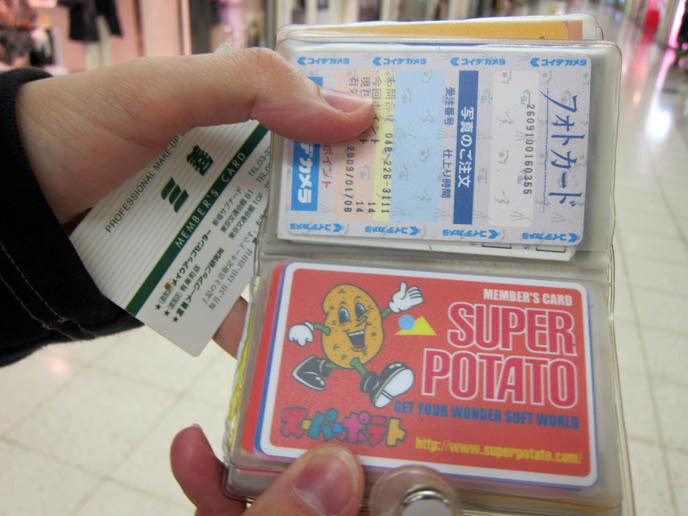 I’m glad we had a point card… or it would get super expensives! wow i love noh makeup. i wish i could take a class here. I’ve wanted to see one and the make-up looks awesome. I’d love to take one of the makeup classes! Such cool transformations. I’m in love with the Algonquins knee-high boots! *_* Can’t decide whether I like the pink or black better. amazing as always, la carmina. I’ve been to Kabuki plays. Does that count? We went to see a butoh performance by Ken Mai here in Finland last fall. He’s sooo talented and he also holds butoh-classes!! I am fascinated by Noh. I want to take a workshop that comes to my town this summer! 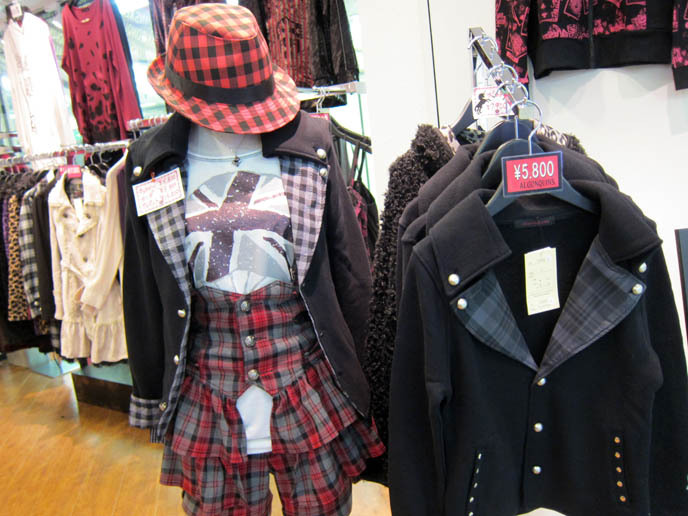 Love to try Japanese fashion! Japanese fashion is also nice. You can get traditional Japanese performing arts from http://www.violetmoonworks.com.au in Australia. They ship world wide and have the full range of geiasha makeup as well.